This one is easy to enforce, but is often overlooked. Â Your iPhone will run at its most proficient capacity when running the latest version of iOS. Â If you are unsure, and want to check and see if your iPhone or iPad is up-to-date, open the Settings App, select General, then Â Software Update. If there is a more recent version available, you will be prompted to download and install it. Your iOS screen brightness setting is another often overlooked battery nightmare. Â The more densely populated pixels of our shiny new iPhones use even more power to keep them illuminated. 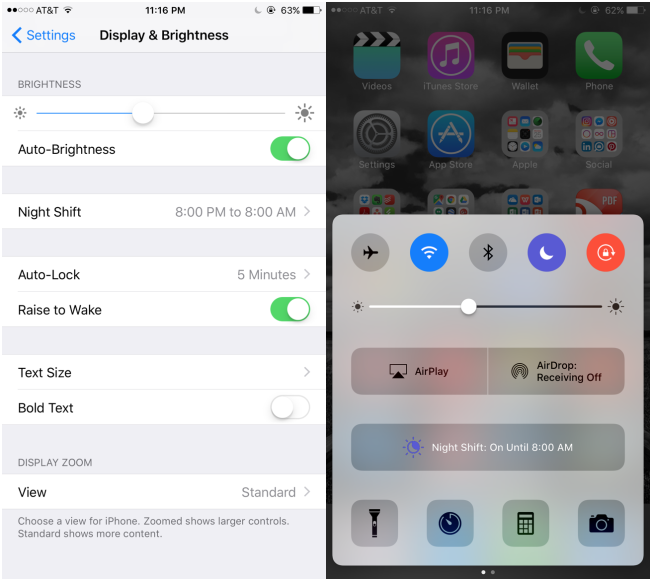 Â Luckily, your iPhone screen brightness management has evolved quite a bit starting with iOS 9. 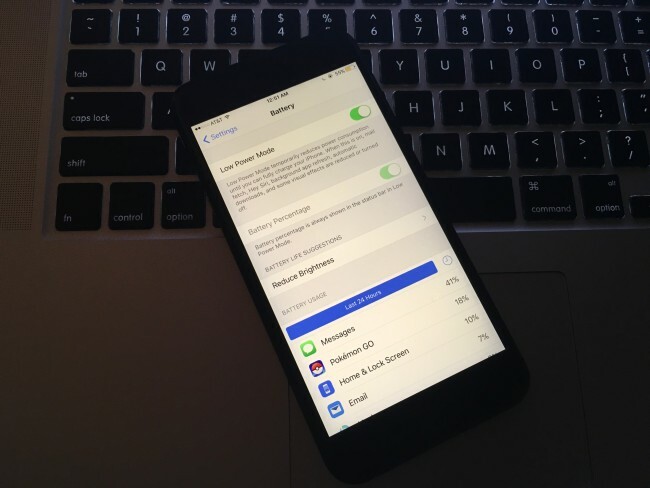 Â In addition to the traditional methods used to adjust your screen brightness–via the brightness slider and with theÂ auto-brightness feature turned on, you can also use a feature Apple introduced called Night Shift. Â This allows you to schedule when your iPhone screen shifts the display to the warmer end of the color spectrum. Â One nice side-effect of this feature, is that your screen will not appear as bright, and will aid in the demand on the battery. Location, location, location. Â Your iPhone is constantly asking for it, and your battery struggles to keep up. Â When location services are running in the background your battery drains much more quickly then when these services are deactivated. Â Same goes for apps that update in the background. Â When you give an app permission to update “behind the scenes” it will Â cause the battery life to diminish at a much faster rate. Both Locations Services and background app refreshing can be managed from the Settings App. When your iPhone is in an area with a poor carrier signal, or even worse, an intermittent one that also varies in strength, your phoneÂ will continue to search for a better connection. Â This will cause the battery to lose powerÂ more quickly if you are simply connected to a tower with low-signal strength. Â In situations like these, if you do not need to use data for extended periodsÂ of time you can simply turn on Airplane mode. Â However, be advised–Â you will not be able to make or receive calls, texts, emails or notifications of any kind which in Airplane mode. This is another deceivingly big battery drain. Â Initially, I wasn’t aware of the impact of simply waking my iPhone up many times over the course of the day. Â When I checked my battery usage details, the Home & Lock Screen always contained the largest percentage of my battery usage. Â To get a detailed report of your battery usage simply open up the Settings appâ€“>Generalâ€“>Usageâ€“>Battery Usage. Â My obsessive compulsive habit of waking my lock screen to view notifications and/or initiate a manual email refresh were both a waste of time and resources. 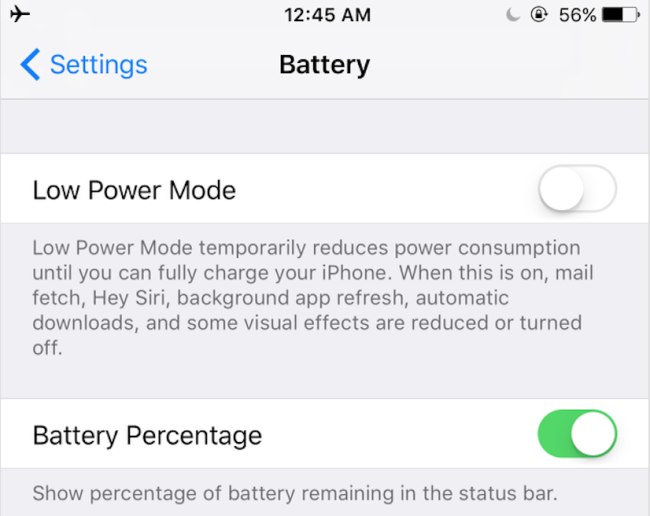 If you must check more often than most of your friends you can also help yourself out a little by putting your iPhone in Low Power Mode to temporarily reduce power consumption. While you’re already in the battery settings section, Â don’t forget to turn your battery percent indicator on to give you the quick heads up of how much juice your still have available. Â Still not sure why Apple didn’t leave that feature on by default.